This Easy Turkey Gravy Recipe is about to simplify your holiday dinner. It is rich and decadent but easy enough that you can save your holiday anxiety for something else altogether. I am pretty sure there is no such thing as a holiday dinner without turkey gravy. It doesn’t matter if the turkey is dry or the potatoes are cold as long as you can smother it all in rich, decadent gravy. It is the great forgiver of all Thanksgiving and Christmas cooking faux pas. So it is important to get it right. Don’t panic. Turkey gravy is not hard. As a matter of fact, it is the same gravy you make to go over your chicken for Sunday dinner. Just with turkey instead of chicken stock. Now traditionalists will tell you that you must use the giblets for real turkey gravy. Um, no I do not. I am not a fan. You keep your giblets to yourself. Holiday Cooking Is Stressful. 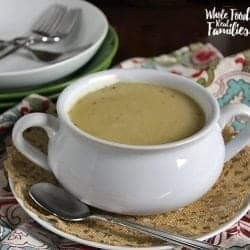 But This Homemade Turkey Gravy Recipe is EASY! I opt for this Easy Turkey Gravy Recipe. My choice is based on a simple premise – I would like to get the bird – that has given me enough anxiety to drive me to the wine bottle early – to the table hot, without touching the floor, and preferably while everyone is still awake. 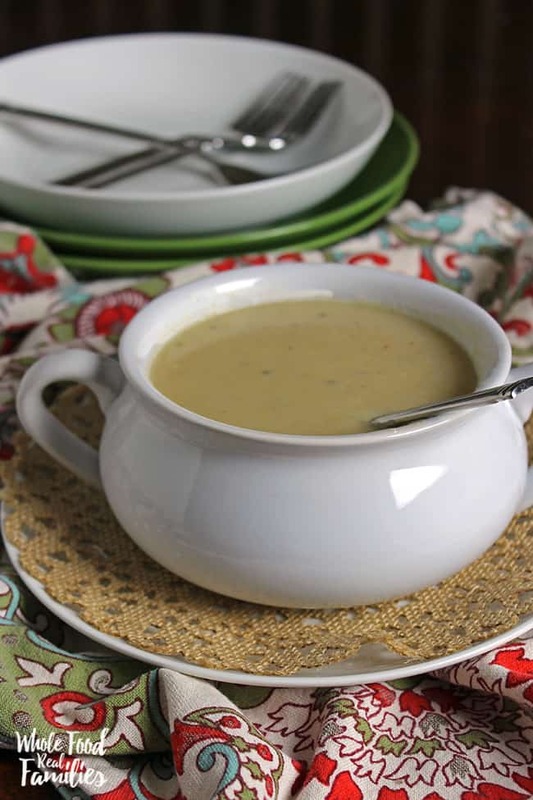 You may absolutely use the pan drippings from the turkey to make delicious turkey gravy. Gravy made from the browned turkey bits on the bottom of the pan where it cooked is golden. Generally, I don’t use this method during the holidays. The drippings need to be skimmed to separate the fat from the liquid, which means the drippings (and the turkey) have to cool so the fat will come to the top. They also need to be strained through a mesh strainer or cheese cloth to remove any bits you don’t want in your gravy. That is a lot of extra work when there are 10,000 other things going on in the kitchen and a family reunion going on in the next room. If making your own stock seems like too much work, just buy some turkey stock from the grocery store. I won’t tell if you don’t. Looking for a Turkey Stock Recipe? 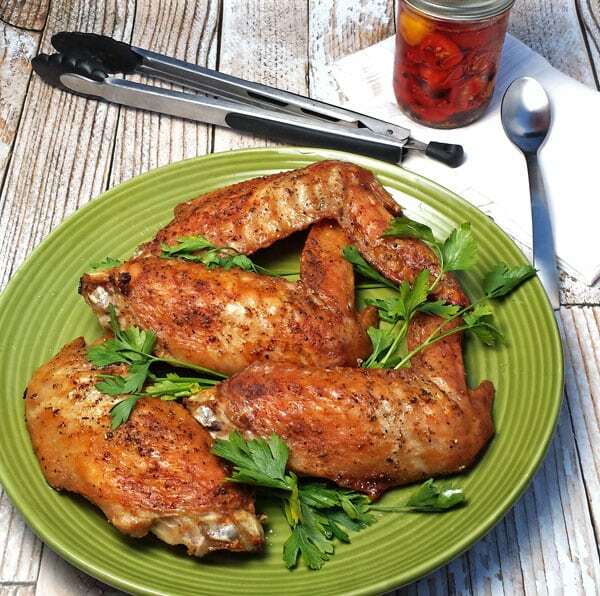 Make these Turkey Wings for dinner then use the leftovers for Turkey Stock! Want something to do with leftover stock after that holiday turkey? 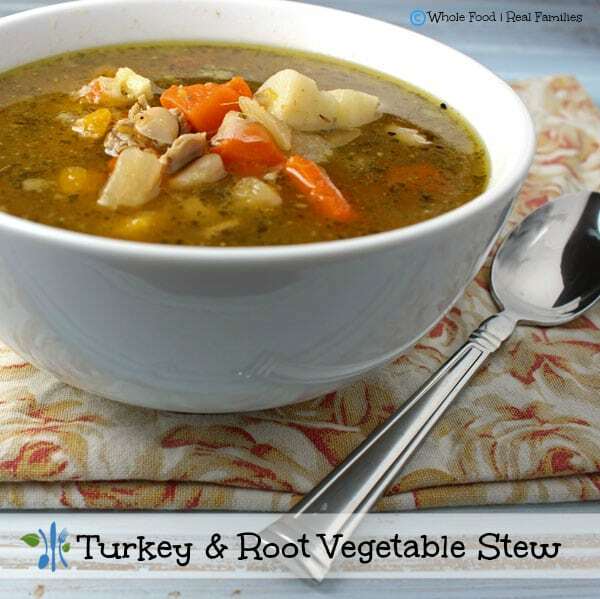 This Turkey and Root Vegetable Stew is so good after all the heavy holiday meals! To make Easy Turkey Gravy, heat a large skillet over medium heat. Melt ½ a cup of butter in the skillet. Once it begins to bubble, sprinkle ½ cup of flour over the butter. Whisk the flour constantly until it is smooth and looks like paste. Allow the flour mixture to cook for a couple of minutes. Slowly whisk in 3-4 cups of turkey stock until your gravy reaches the consistency you prefer, keeping in mind it will thicken as it cooks. Salt and pepper to taste. A little splash of sherry or fresh herbs add a nice touch! 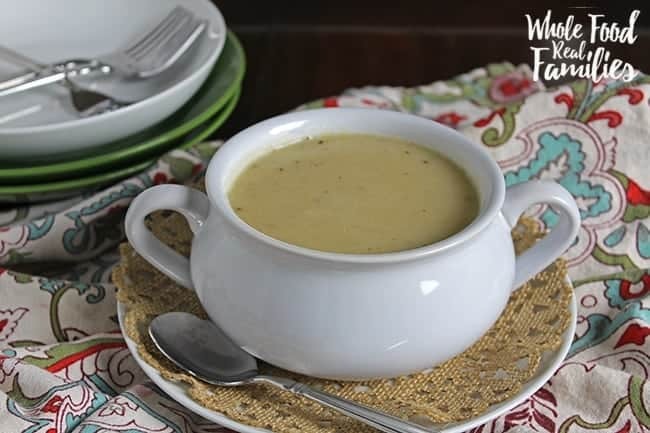 You can keep leftover gravy in the refrigerator for up to a week. 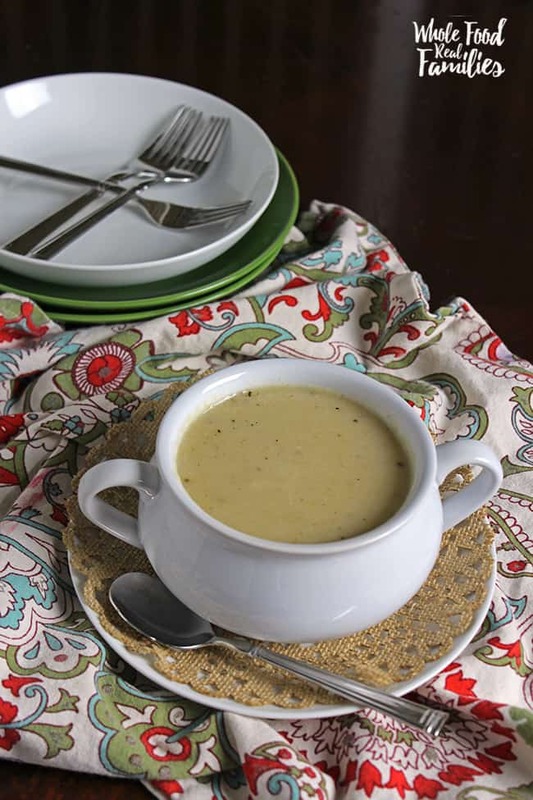 Reheat it by gently stirring over low heat, adding a little broth to loosen it up if it has become too thick.